The Whigs fueron los protagonistas de nuestro segundo post en este blog, allá por Febrero, cuando Stereo Pills comenzaba a andar. Una banda cuyo disco Mission Control, nos gusta mucho, y del que acaban de extraer un nuevo single, "Like a Vibration", el cual es probablemente su canción más redonda. 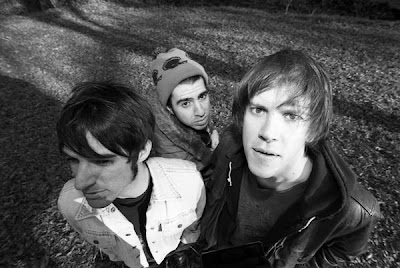 The Whigs were the second band to be featured in this blog, back in February, when Stereopills was just starting to walk. A band, whose record Mission Control we really like, and from which they have issued a new single, "Like a Vibration", probably the best track on it.